What’d you think of the Letter from the Producer LIVE Part VIII? Pretty insane, right? Nearly three hours long, packed full of new info, gameplay details and some juicy reveals! This time, the inseparable duo of Yoshida and Foxclon, were joined by a special guest – Rie Tanaka, the Japanese voice actress for both Garuda and Kan-E-Senna! 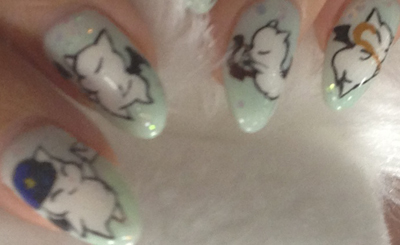 To show off her love of FFXIV, she even had her nails done up special for the show! 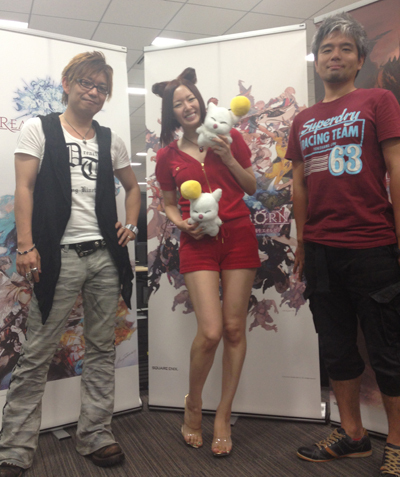 The hosts pose with their moogle companions. 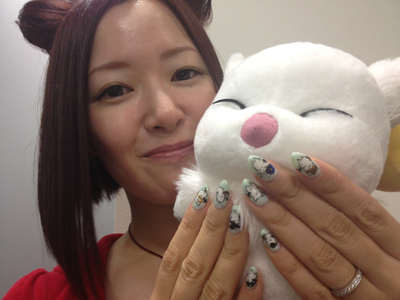 Did you notice the new edition of the Eorzea Collection that debuted during the break? This one was all about monsters! Which were your favorites? The chat rooms and forum members went crazy when the tonberry was shown! Since there was so much content introduced in the Letter from the Producer LIVE, we’ll be introducing it on the blog bit by bit, so be sure and stay tuned!